Soak it all in this summer while enjoying the convenience of staying in the center of it all at an official Colonial Williamsburg Hotel! Enjoy fun filled days at two of the best theme parks in the region! Book your Summer Getaway and save up to $500 or more! 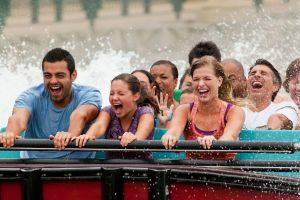 Click Here to see Busch Gardens and Water Country USA 2019 operating schedule. ​* 3 night minimum stay required. **Daily breakfast: Continental breakfast at the Williamsburg Woodlands, Grab N Go breakfast at the Griffin Hotel; $60 per day credit at Williamsburg Inn, $50 per day credit at the Colonial Houses and Williamsburg Lodge. Tax and gratuity not included with the breakfast credit. Any unused portion of the daily breakfast does not roll over to subsequent days Cancellation Policy:This reservation must be cancelled 72 hours (3 days) prior to arrival to avoid forfeiture of your deposit.Deposit Policy:We require the first night’s package rate and tax for each room reserved.